Planning the Centennial took years. 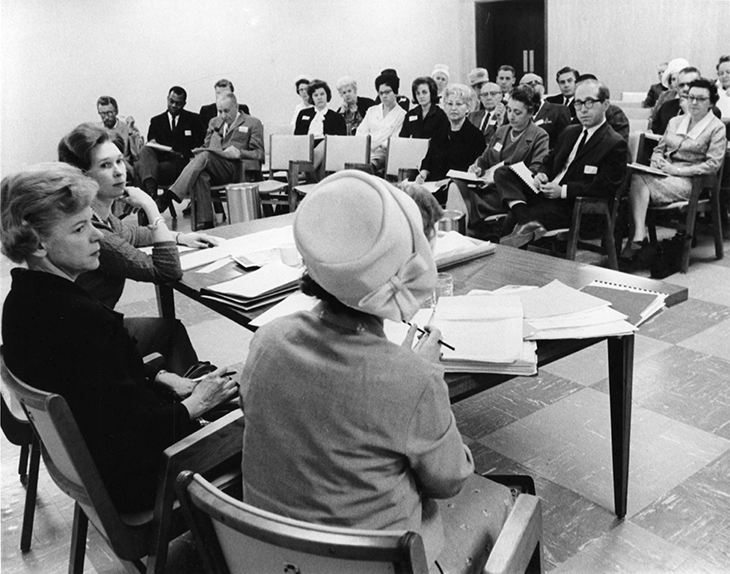 At the Federal level, discussions among non-governmental organizations began in the late 1950s, however it wasn’t until the National Centennial Act was passed in September 1961 that the National Conference on the Centennial of Confederation (later renamed the Centennial Commission) was established. In January of 1962, Edmonton's Finance Committee recommended to City Council that a Centennial Committee be established to look into restoring Fort Edmonton for the Centennial. From this request grew the Edmonton Civic Centennial Council, an arms-length organization dedicated to coordinating Centennial activities in Edmonton. By commemorating milestones we celebrate the past, however our goals are rooted in the present. Commemorations reinforce our identity, and help us deal with who we are and where we’re going. Unifying elements such as symbols and songs feature prominently. Reassured of the value of our history by recognizing achievement and growth, we build monuments and memorials as tangible statements of what we’ve done. Public participation in performances and events is encouraged and helps to bring us together. As you explore this exhibit, see if you can identify any of these themes in Edmonton’s 1967 celebrations.